The perfect accessory for any Horror-loving individual; this detailed Freddie Krueger Glove is a replica of the glove worn by the infamous villain. Make it your mission to frighten fellow party attendees with this fantastic Freddie Krueger Glove, the ideal accompaniment to any Freddie inspired fancy dress costume, perfect for a Halloween or Horror themed outfit. The brown glove has adjustable wrist and finger straps, with moveable knuckle joints and soft, safe silver coloured blades. 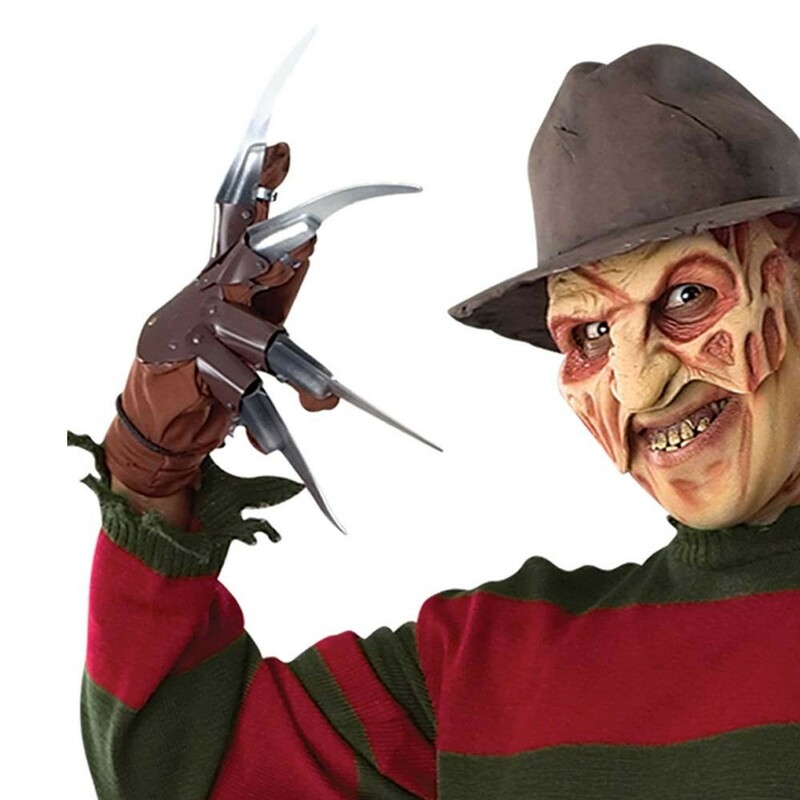 This licenced Freddie Krueger Glove is a must-have for anyone thinking about dressing up as the horror-legend! Please note: This product is not suitable for children under the age of 17.